← Rising Interest Rates = Decreasing Purchasing Power? 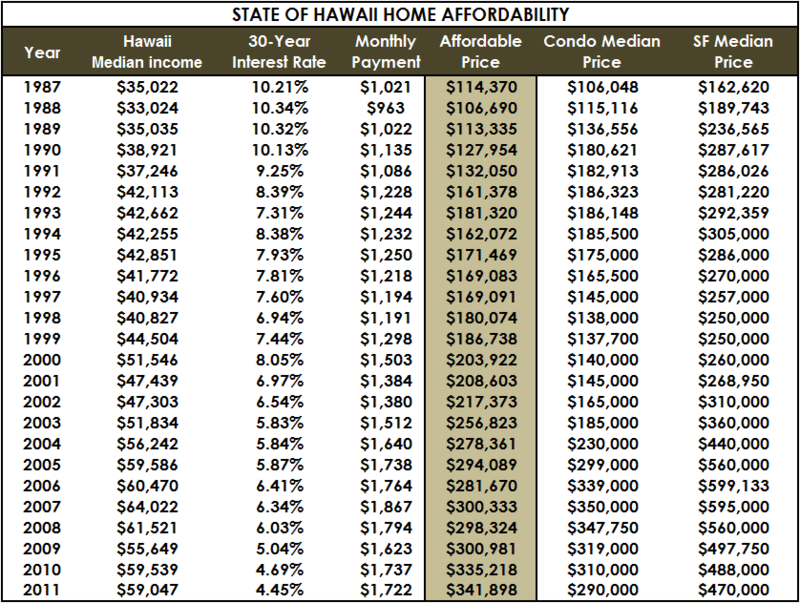 3 Responses to Interest Rates and Hawaii Residential Prices–Are They Really Connected? I understand how the correlation is certainly not strong, but on first glance, at least, it does seem that there is some correlation, just less responsive to smaller and quicker movements. Could you explore the various levels of correlation between uncorrelated, weak, moderate, and strong? Great question and comment Dave. I thought about it a little more and edited that section of the article to clarify a bit. 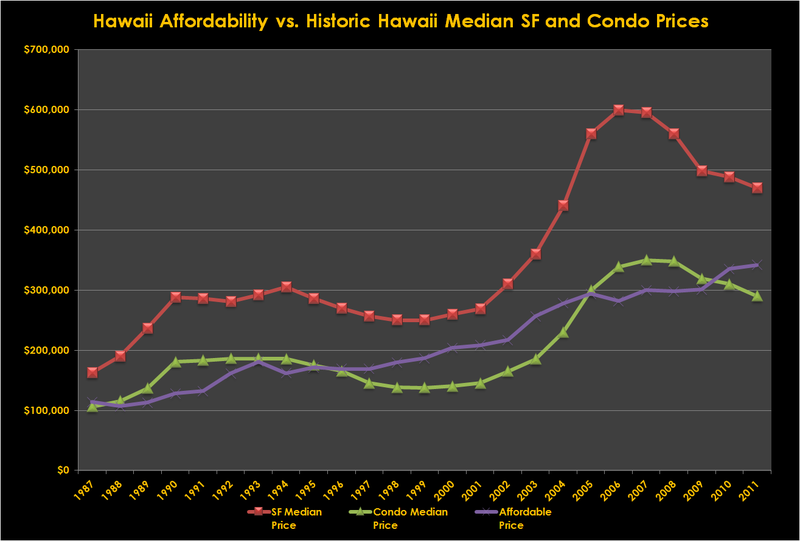 The trends all show increases over the long haul, but the direction/magnitude of median price movement in any particular year does not appear to be very dependent on rates (not to my eye at least, and not statistically either). I’ll work on presenting the statistical side of it in more depth in a future article.